The Queensland Government has confirmed its preferred tenderer for the $1.1 billion Herston Quarter project in Brisbane. 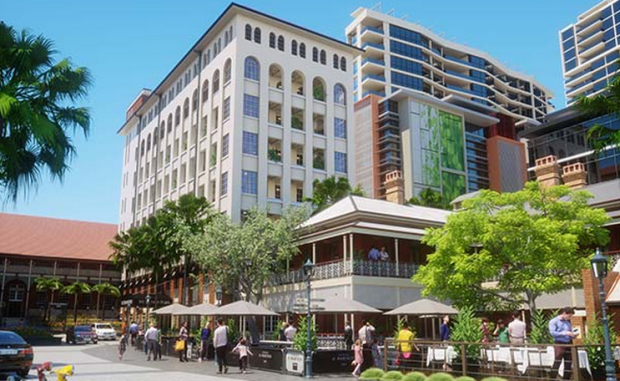 Australian Unity has been chosen develop the site of the former children’s hospital at Herston in Brisbane and create a $1.1 billion health, aged care, residential and retail destination. Australian Unity plans to develop and then take an ongoing role in an integrated health, ageing and research precinct in the Herston Quarter, which would provide Queenslanders with access to leading health, hospital and aged care services. The new project, integrated within the existing Herston Health Precinct, is designed to attract, train and retain the best clinicians, health workers, researchers, academics and students. Australian Unity secured the Queensland Government’s preferred tenderer status for the Herston Quarter after a rigorous selection process. “The Herston Quarter is an important social infrastructure project for Brisbane and Queensland and we thank the Palaszczuk Government for the opportunity to contribute to the development of a world class health precinct,” Australian Unity Group Managing Director Rohan Mead said.